There are so many great monster books and monster activities that we could keep monstering for a couple more months. But tradition dictates that Pajama Day is in November, and we are beginning to run out of November. Before the monster stuff all goes back in the box, and the box goes back on the shelf, here are a couple of monster tidbits. During my summer every-rock-must-be-painted phase, I made some rock monsters. The kidlets did lots of sorting (putting in groups and having others figure out their sorting rule) and patterning. 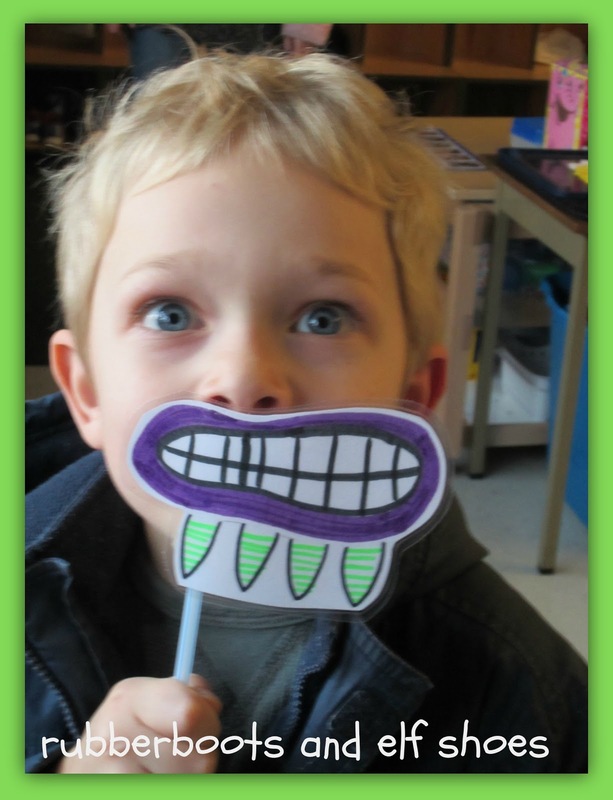 We made monster faces. I was inspired by some monster accessories and tried my hand at making my own. What a fierce little monster! We learned a monster dance. That's right. We learned how to dance like monsters. For some, it wasn't a real stretch! 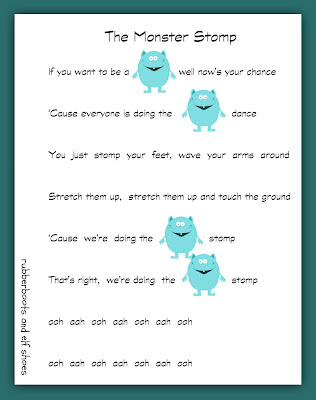 Way back in the olden days, I went to a McCracken workshop (I am quite fond of McCracken resources and think that it is a crying shame that they are no longer available) and one of the handouts had The Monster Dance on it. We made up our own actions. I think that other classes are a little worried when we do the monster dance. Click the stomp for a free download. Cute song! We do tons of energizers and brain breaks at Morning Meeting and this will be perfect! I'm having a math giveaway/FREEBIE right now! Mention my giveaway in a blog post and I will send it to you for FREE!